Now that fall is here, we’ve begun adding some sort of chili to our meal plan at least once a week. I love it! I can put a couple ingredients in the crockpot, let it go all day and then eat multiple meals of it. Can’t get any easier.. or can it? 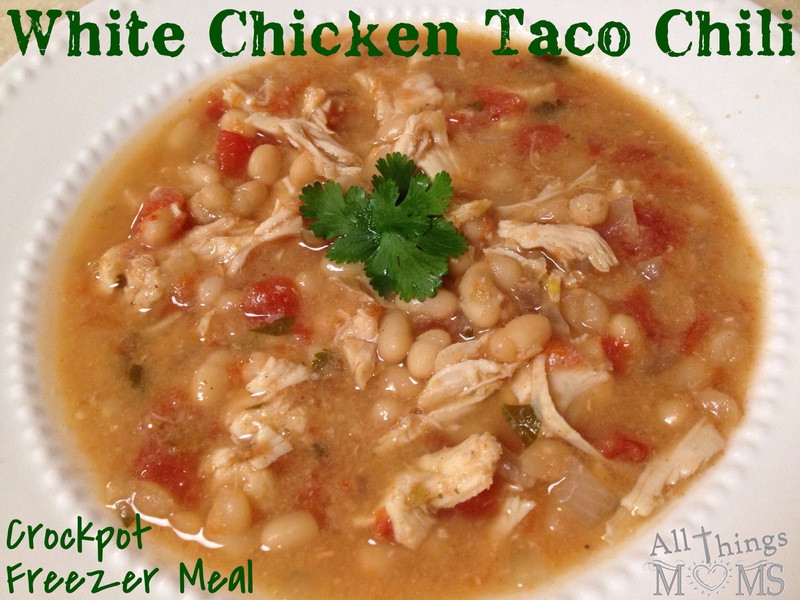 With this freezer friendly White Chicken Taco Chili it does! I don’t even have to mess with the ingredients, just pull it out of the freezer and stick it in the crockpot. Well, I do have to take it out of the bag but that’s easy enough. Dinner and leftovers done in less than a minute. Plus, this recipe has the added bonus of being healthy and very inexpensive to make! It’s a triple threat, you’re going to love it! How easy is that?! Enjoy!! 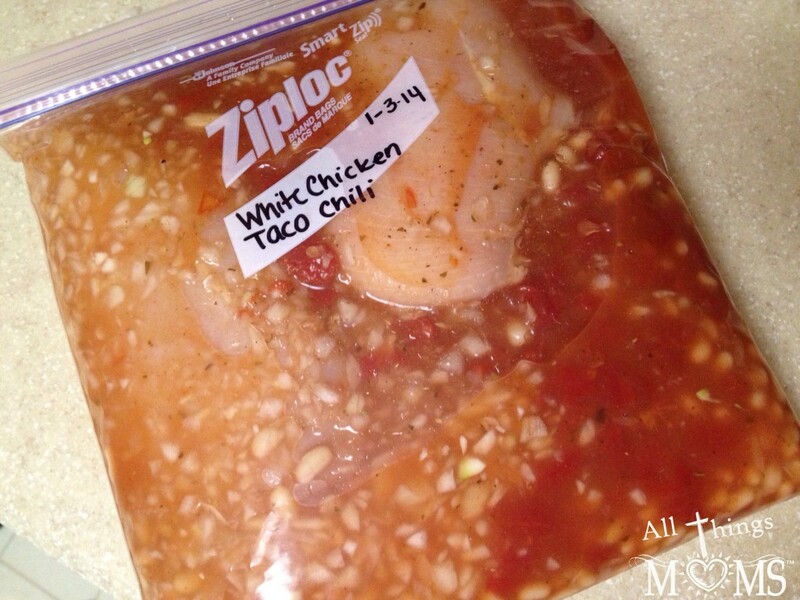 Freezer Directions: Dump all raw ingredients into a large, gallon size freezer bag and -freeze. 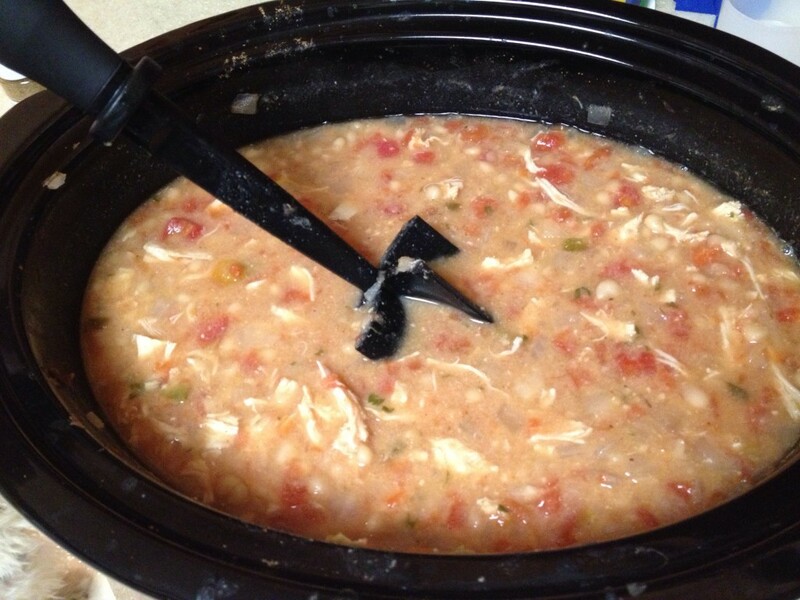 On cooking day, dump frozen contents of bag into the crockpot and cook on low 7-8 hours or on high 4-6 hours. Save time by prepping several of these for the freezer and one for dinner. Buy a large pack of bulk chicken (saving money, win!) Put two in your crockpot and divide the others up into freezer bags, two in each one. Chop up a few onions and put about half an onion in the crockpot and each bag. 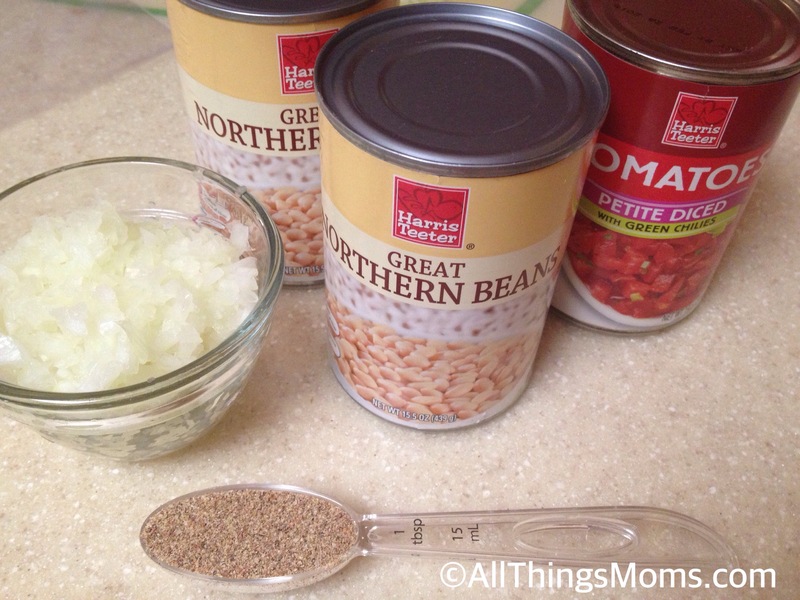 Open all your cans and divide them and seasonings out into the crockpot and each bag. Start your crockpot and place the sealed bags in the freezer. Now pat yourself on the bag, you’ve just put multiple meals away in the freezer and prepared dinner in under 15 minutes. We also like to make a double batch and freeze smaller portions of cooked chili that can be easily reheated for lunches or shared with a family member. I’ve shared this recipe with my mom and grandmother a lot and they love it!